This entry was posted in United Kingdom, Where in the World Wednesday and tagged Battle, Battle of Hastings, England, gatetower, Hastings, look up, Norman architecture, UK, United Kingdom, Where in the World Wednesday, William the Conqueror, WITWW, yes the town is called Battle and it's where the battle took place by lisafindley. Bookmark the permalink. How interesting, Lisa! How do you think they used this tower? What did they do with it? It doesn’t seem to be very scaleable… Thanks for the mysterious structure! Hi Irene, Hope you’re well! Back in Michigan? The tower is a gate tower from the entrance to castle grounds in the town of Battle. 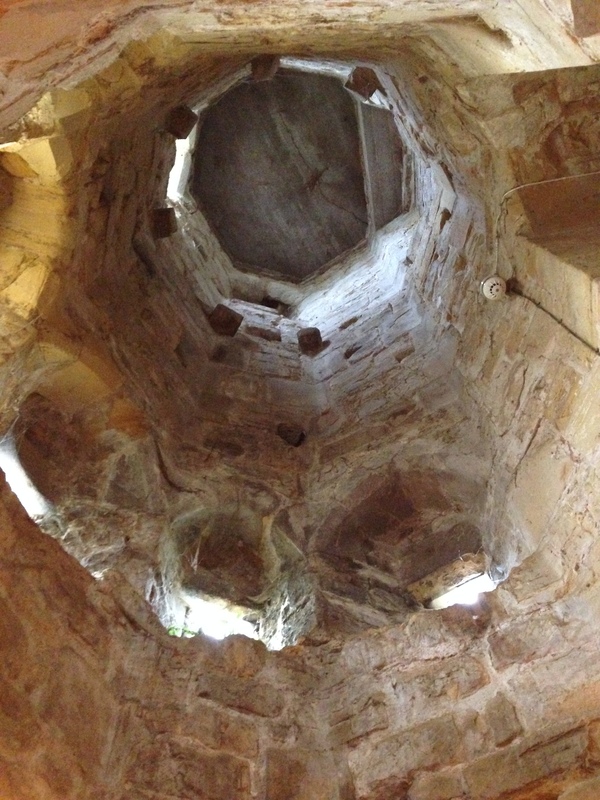 There were two extant towers you could pop into while visiting.